You will find that the 2019 Hyundai Accent is sold with technology that is very user friendly. Like many other Hyundai vehicles at Lithia Hyundai of Reno, the 2019 Hyundai Accent incorporates its technology well. You can trust in the cutting-edge safety features of the 2019 Accent. These safety features are only made more effective by the vehicle’s technology. The 2019 Hyundai Accent also has exciting entertainment technology. If you want a convenient and comfy vehicle, the 2019 Accent is the right vehicle for you. Its technology improves this convenience and comfort even more. Drivers in Sparks, NV can enjoy better performance from the 2019 Hyundai Accent because of its technology. Excellent comfort and convenience is part of what you can expect from the 2019 Hyundai Accent. If you go with the Limited trim of the 2019 Accent, you get heated front seats as a standard feature. With this feature, you can love driving your new 2019 Hyundai Accent, even when the temperature may not be ideal. This is only a small part of the vehicle’s comfort and convenience, however. All trims of the 2019 Accent come standard with a rear window defroster with a timer. Drivers in Carson City, NV will appreciate the usefulness of this standard feature when it snows. Choosing the Limited trim of the 2019 Hyundai Accent gets you a Proximity Key with push button start as a standard feature. A hands-free smart trunk with Auto Open is an available feature on the Limited trim of the 2019 Accent. You can visit Lithia Hyundai of Reno to learn more about the 2019 Accent, technology and all. If you stop by this Reno, NV dealership, you can test-drive the 2019 Hyundai Accent and experience this impressive level of comfort and convenience for yourself. One-Touch Triple Turn Signal comes standard on all trims of the 2019 Accent. You can improve your overall safety on the road by utilizing this feature so everyone else is aware when you are turning. The Occupant Classification System is another part of the standard safety technology on every trim of the 2019 Hyundai Accent. This system can prevent the front passenger airbag from activating if it detects that the front passenger is a small child. Forward Collision Avoidance Assist is another standard safety feature if you choose the Limited trim of the 2019 Accent. 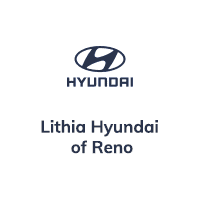 If they want a great Hyundai, Reno drivers should go to Lithia Hyundai of Reno. If you want crisp audio quality, the 2019 Accent has you covered. The SE trim of the 2019 Hyundai Accent comes equipped with a standard 5-inch color touchscreen, Bluetooth® capability and 4 speakers. Drivers in Reno, NV can use this entertainment technology to listen to their favorite music, make hands-free calls and more. If you upgrade to the SEL trim of the 2019 Accent, a 7-inch touchscreen display audio system and an AM/FM/SiriusXM™ radio system are standard features. This 7-inch touchscreen display audio system also has Android Auto™ and Apple CarPlay™ compatibility. An Infinity® premium audio system with HD Radio™ and 8 speakers comes standard on the Limited trim of the 2019 Hyundai Accent. While the 2019 Hyundai Accent boasts powerful performance and good fuel economy, its technology adds to this performance further. Its Vehicle Stability Management system is a standard feature across all trims of the 2019 Accent and helps you enjoy excellent stability. Its Hill Start Assist Control feature is standard on the SEL and Limited trims of the 2019 Hyundai Accent. This feature keeps the 2019 Accent from rolling back when you start on a hill. You can visit our website to find out more about the 2019 Hyundai Accent and its innovative technology. While there, you can select to receive alerts when prices change, new offers for cars come into the system and more. We make your Hyundai shopping experience enjoyable with our excellent customer service and wide range of financing options. You should consider visiting Lithia Hyundai of Reno if you are interested in the 2019 Accent.